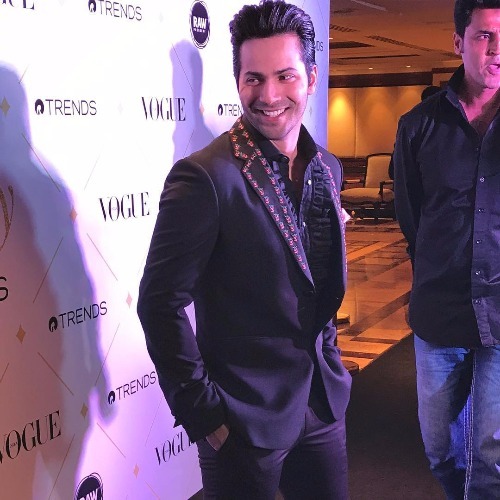 Bollywood stars were all glittering and shining on the red carpet at Vogue Beauty Awards 2017. 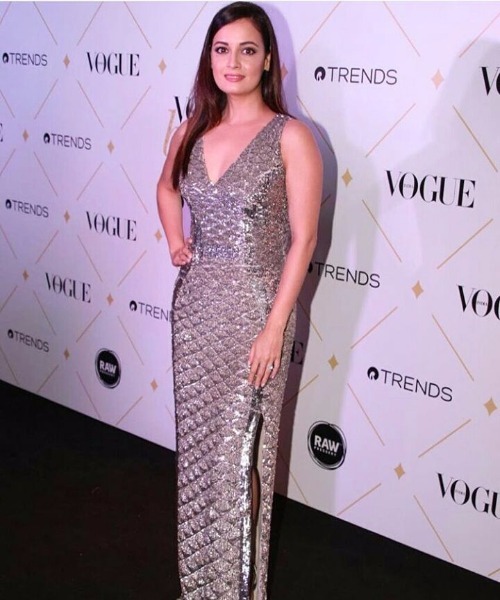 Aishwarya Rai Bachchan stole the lime light from rest of the crowd when she appeared in Nedret Taciroglu’s sheer black off-shoulder ruffled gown. Fringed hair, bold red lipstick, Jimmy Choo red shoes and a seductress low cut neckline. Ohh, we wonder how she is not aging at all!! Aishwarys Rai Bachchan received ‘Most Beautiful Global Icon’ award. Bollywood’s most adorable couple Shahid and Mira Kapoor looked cute as ever. Mira, for the first time dared to go off shoulder and she was seen flaunting around confidently in black ensemble. 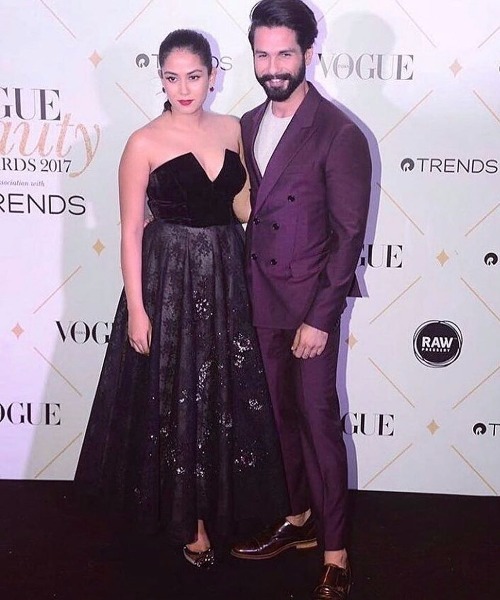 Vogue Beauty Awards 2017 presented Shahid Kapoor-Mira Kapoor ‘Most Beautiful Couple’ award. 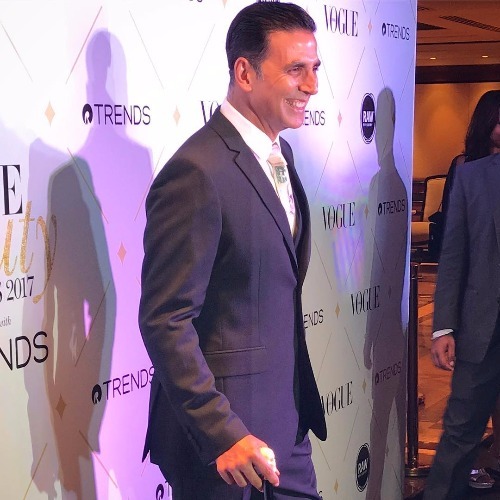 IIFA ROCKS 2017 Green Carpet: From Katrina To Alia, Saif to Shahid-Who Wore What! Jaya Bachchan with daughter Shweta Nanda and grand daughter Navya Naveli together reflected three generations of beauty whose style is impeccable. Navya Naveli picked designer Monisha Jaising’s latest collection crystallised embellishment ice-blue gown. 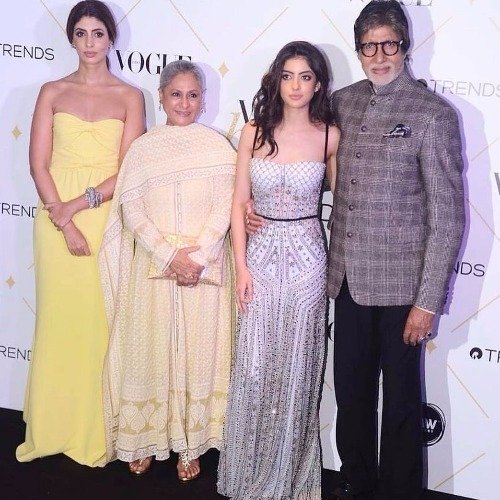 The Bachchan mother-daughter-grand-daughter received ‘ageless beauty’ award at Vogue Beauty Awards 2017. 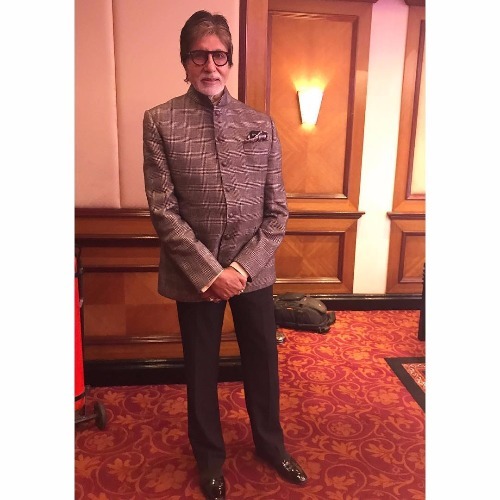 Akshay Kumar, Varun Dhawan, Amitabh Bachchan looked dapper in their suits. 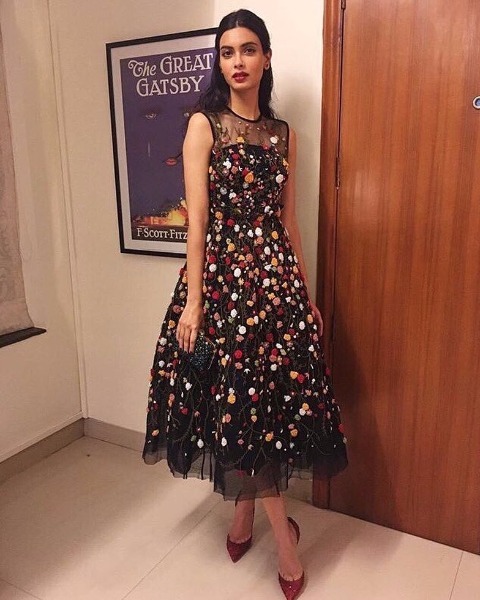 Actress Aditi Rao Hydari, Karisma Kapoor, Dia Mirza, Diana Penty and others looked gorgeous. The evening was all glam as actresses channeled their inner-self in the most stylish and chick way. Previous : Comedian Kapil Sharma Finally Breaks Silence On Suffering From Depression & Much More! Next : KRK and Public’s Mixed Reaction on Shah Rukh Khan-Anushka Sharma Starrer Jab Harry Met Sejal!